The Church in Western Iberia (León, Asturias, Galicia, and Portugal). 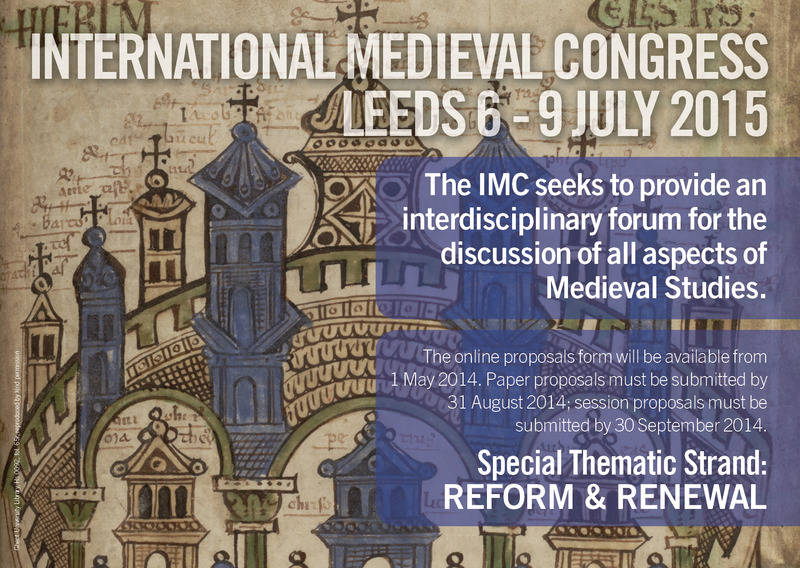 International Medieval Congress, University of Leeds, July 6-9, 2015. Organiser: James D’Emilio, Department of Humanities, University of South Florida. Download the complete provisional programme and list of speakers here. The International Medieval Congress (IMC) is organised and administered by the Institute for Medieval Studies (IMS). Since its start in 1994, the Congress has established itself as an annual event with an attendance of over 1,800 medievalists from all over the world. It is the largest conference of its kind in Europe. This entry was posted in Conference, Uncategorized and tagged Asturias, Galicia, International Medieval Congress (Leeds 2015), León, Leeds, Medieval, Portugal, Spain, Uncategorized, Western Iberia on December 8, 2014 by Clare Hills-Nova.